Congressional Gold Medals were awarded to 25 Native American tribes in recognition of the dedication and valor of tribe members who had served as Code Talkers in the United States Armed Forces during World War I and World War II. The medals were awarded at a ceremony held in Emancipation Hall in the U.S. Capitol Visitor Center on November 20, 2013. Congratulations to our friends in the Hopi Tribe for this long-deserved recognition! With the support of the 380th Bomb Group Association for our Hopi Code Talkers, Acoma Code Talkers and Apache Code Talkers, our nation finally will honor all Native American Code Talkers this year at the national level. The obverse design features Hopi code talkers communicating on a field phone and using binoculars to search for the enemy. The B-24 Liberator in the background represents the Hopi code talkers' service in the 90th and 380th Bombardment Groups. Inscriptions are HOPI CODE TALKERS and U.S. ARMY. The reverse design features a variation of the Hopi Tribe flag, which depicts a circle with dots, mountains and stalks of corn on both sides of the mountains. The flag's symbols represent the Hopi way of life. Inscriptions are WORLD WAR II, ACT OF CONGRESS 2008, A CODE NEVER BROKEN, KEPT AMERICA FREE and HOPILAVAYI, which in English means "Hopi language." Every year on April 23, the Hopi Veteran's Services, along with The Hopi Tribe, celebrate the Hopi Code Talkers and their accomplishments in earning the Gold Medal of Honor for their service in World War II. The Hopi soldiers developed a code using the Hopi lavayi to transmit secured radio communications in combat. Use of the Hopi language confounded the Japanese and contributed to the liberation of the South Pacific Islands and final victory. This year's celebration recognized the service of Hopi Code Talker Percival Navenma. Percival Navenma was a Private First Class in the U.S. Army. Many Hopi and Native American veterans returned from their service in World War II and never talked about what they saw or did. This annual event honors the men who left their homes, culture, and traditions to serve the U.S. government and the earth. 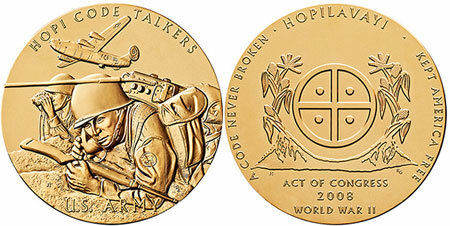 The Native Code Talker Act of 2008 sought recognition for code talkers from Native American tribes. Last year, on November 13, a delegation of Hopi travelled to Washington D.C. to receive a gold medal of honor that was presented to the Hopi Tribe. Family members of the Hopi Code Talkers were given silver medals. Originally eight Hopi Code Talkers were recognized. These Hopi Code Talkers served in the U.S. Army with the 323rd Infantry Regiment, 81st Infantry Division, known as the "Wild Cat Division," during World War II. 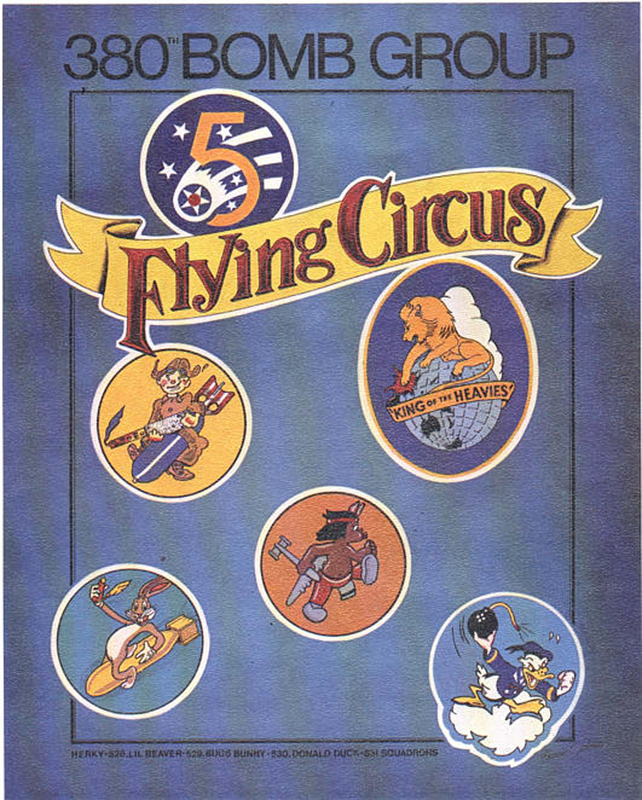 They were: Charles T. Lomakema, Floyd Dann, Sr., Frank C. Chapella, Percival Navenma, Perry Honanie, Sr., Travis S. Yaiva, Warren R. Kooyaquaptewa, and Franklin Shupla. Two additional men were later identified as also being Hopi Code Talkers: Orville Wadsworth and Rex Pooyouma of the 5th Air Force.